How a companion dog can help you with anxiety and stress relief? Dogs are adorable animals – their presence makes people happy. They give you unconditional love. Also dogs are cent-percent trust worthy. And that is the reason why dogs are regarded as man’s best friend. Not just that. Various studies at top institutions have shown, that dogs provide huge therapeutic benefits to people. So, anyone who owns a dog will tell you ‘they make amazing companions’ and the very best of friends. Dogs help in reducing loneliness, and they give you a sense of purpose in life. They will bring you comfort when you are going through stressful times. Caring for a pet has a calming effect for their owner, so this is very beneficial to someone suffering from anxiety. Off course, therapy dogs are specially trained and they bring immense benefits to people – this is a nice TIME Magazine article for further reading. As because dogs are so effective in treating anxiety, they are widely used by mental health services as a form of therapy. You will see them in hospitals, therapy clinics and everywhere. Even schools invite therapy dogs for their students. Every dog undergoes specialized training on therapy techniques, so that they can help and support people. They help improve the symptoms of a range of mental health problems including anxiety disorders. What does research say about therapy dogs? 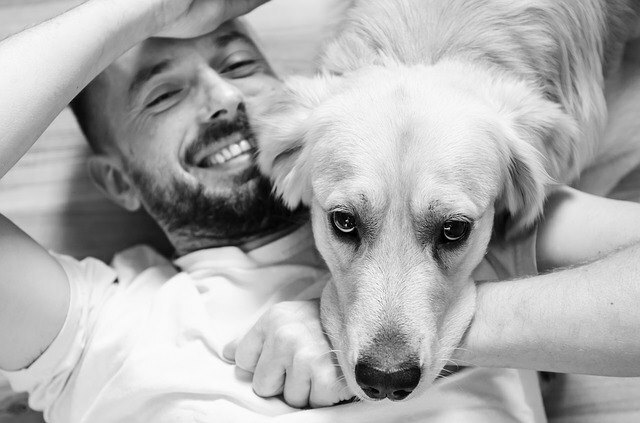 Whether the anxiety is mild or severe, research has shown that dogs can help reduce a lot of physical and emotional effects of anxiety disorders. Children love dogs because they are trust worthy friends. If you have grown up with dogs around you all the time, you know exactly what I am taking about, right. Dogs provide a way of relaxation and this certainly help in treating anxiety issues in children. 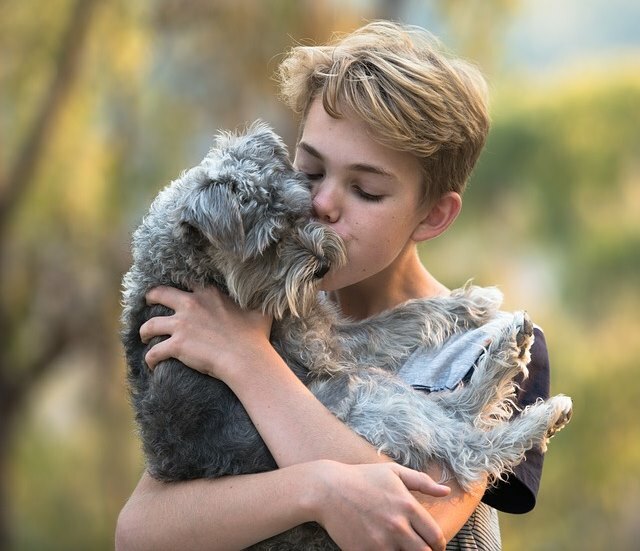 According to this study, children living in a household with a pet dog decrease the chances of developing anxiety, and reduce the symptoms of those who are already suffering from it. But what is it about dogs that is so effective in easing the symptoms of anxiety? Let’s take a quick look at some of the ways a dog can help to reduce stress and anxiety. The main reason dogs are so therapeutic is they fulfill the human need of contact. Seeking affection by stroking, playing with and touching dogs can increase levels of serotonin and dopamine in the body which has a very calming effect. Studies have shown that if you stroke a dog regularly, it will help you to decrease your heart rate, and keep it at a normal level. Wow, isn’t that amazing. Heart rate is one of the most common physical symptoms of anxiety. In the short term, dogs can soothe negative emotions quickly, and in the long term they can have a massive effect on behavior patterns leading to better mental and emotional health. Feeling isolated can trigger anxiety, and make it worse in those who already suffer from it. 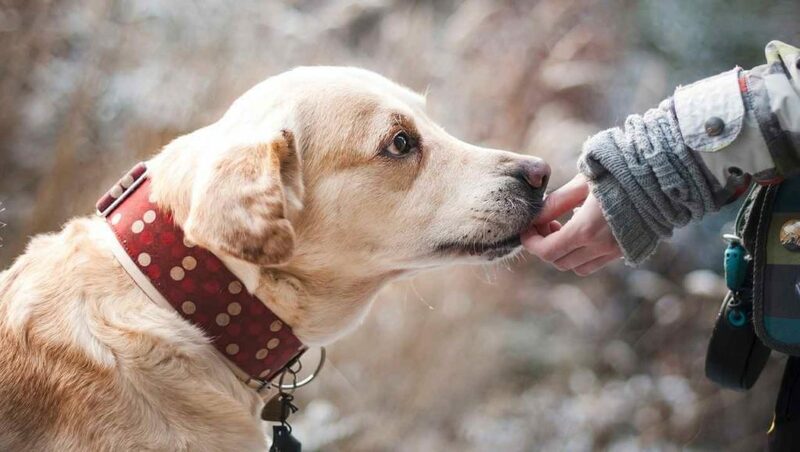 A dog can provide companionship, helping to ease feelings of loneliness and improve symptoms. Caring for an animal in itself can give a sense of purpose and give you something positive to focus on. Looking after a dog gives a sense of routine and structure to the day. It means you have to get up when you don’t feel like it, and needing to take your dog for a walk. That is good thing, because it gives you great motivation to leave the house, which is hugely beneficial when suffering from anxiety (or any other mental illness). Not only do dogs make great companions, they can also encourage you to start new friendships, and maintain existing ones. Dog owners can meet new people whilst out on walks, at pet stores or training classes. When you own a dog, exercise becomes an essential part of your routine which can massively reduce anxiety. And you know it very well, when you exercise how your overall mood improves so quickly. Because exercise creates synergy between your mind, body and spirit – it brings balance back to your life. Exercise produces happiness hormones called endorphin, which in turn can help you to cope with stress better. It also reduces fatigue, improves sleeping patterns, and greatly stabilize your mood. See you can clearly see how one thing is beautifully related to the other. This is especially true in children. Why? Because dogs are non-judgmental they are never critical like many humans. They do not measure things as good or bad. So their loving presence can provide a sense of security to children which definitely helps in decreasing the level of anxiety. They can also help children learn to form healthy attachments and a positive self image. Dogs have a natural calming effect on children. They help reduce the level of aggression in children and cultivate empathy. Because of all these reasons, dogs have been successfully used to treat the symptoms of ADHD, and similar stress related conditions. So owning a dog can be very beneficial for the mental health of all family members. Definitely, owning a dog will mean you have to take some additional responsibility of the taking care of the puppy and so on. The companionship and love they provide can help to reduce stress. And with the increasing number of people suffering from anxiety and other disorders; it’s a great way to reduce some of the symptoms. (1) Best Dog Strollers for your favorite dog, so you can take your dog for a relaxing walk. (2) Dog Crate that your dog will love – a selection of the best ones.